New Xero Integration has commenced. If you are not auto-connected you will need to manually reconnect. use your Xero Admin Login details. be a Portal Admin AND a Wisenet User or Admin. If you do not have an Xero Admin login you may need to get the holder of these details to enter in the information for you (this is usually an RTO Manager or Accounts). 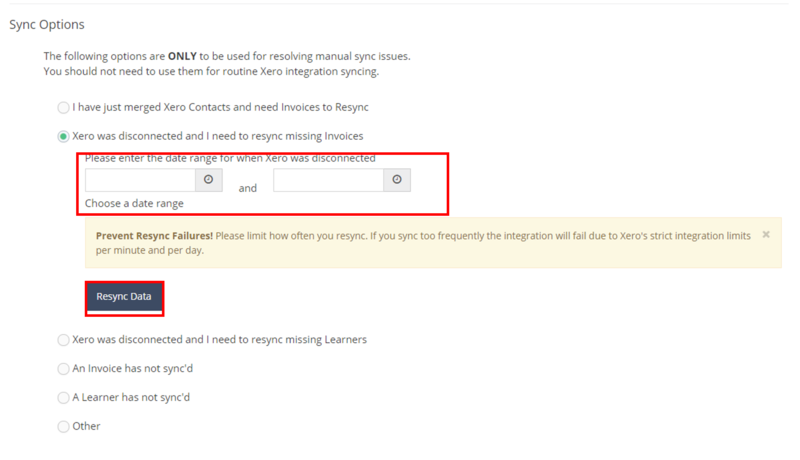 To re-sync Invoices choose the second option. Select a date range 1 year prior to your original Xero integration. 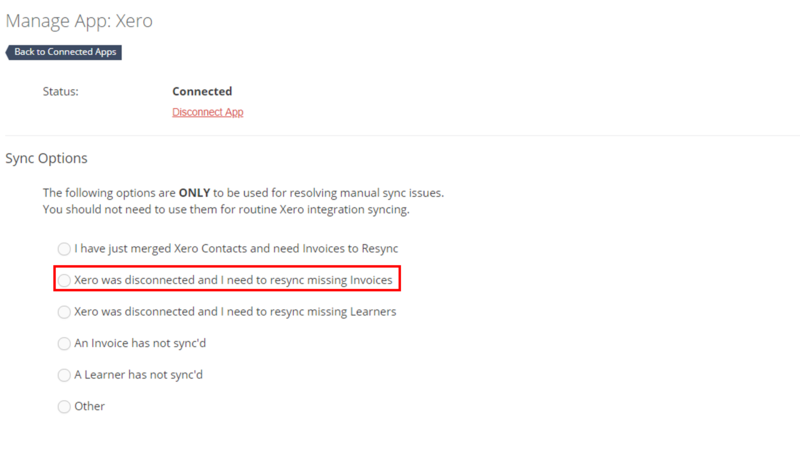 When you resync due to strict Xero integration limits it may take up to 24-48hrs for all invoices to re-sync to the new integration.